COBLESKILL, NY – Schoharie Valley Farm to School Project of Cornell Cooperative Extension is proud to announce its first fundraiser. Conducted in partnership with Wellington’s Herbs and Spices, it will feature the acclaimed local artist, Jason Schultz. A Garden Stroll and Art Opening will be held from 12 Noon to 4 p.m. on Sunday, July 13, at Wellington’s Herbs and Spices on Schoharie’s Rickard Hill Road. The public will have a chance to stroll through Wellington’s herb garden and art gallery to observe the exhibit of Jason Schultz's sculptures of reclaimed metal, wood and stone, with a chance to buy the pieces for their own home or business. An opportunity to “Meet the Artist” will be afforded to everyone who attends the exhibit opening. The Tea Room at Wellington’s will have available lunch service, and there will be music, door prizes, and light refreshments offered, without a charge for admission. A portion of all proceeds from the sales of Jason’s art works, from the time of the opening on July 13th through the exhibit period ending in September, will benefit the Schoharie Valley Farm to School Project, coordinated by Cornell Cooperative Extension Schoharie and Otsego Counties. 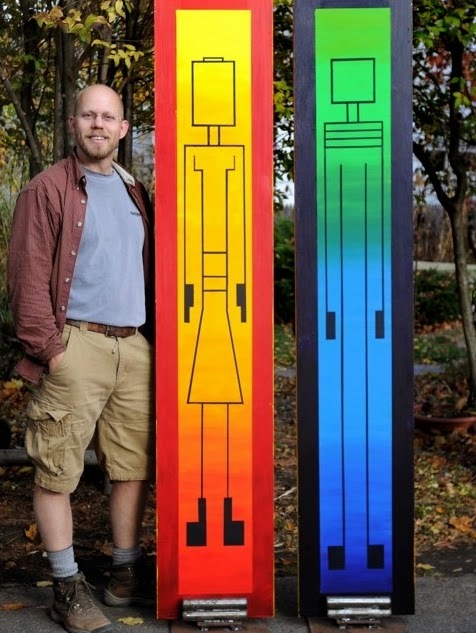 With this, Jason Schultz’s first exhibit in the Schoharie County region as well as being his first ever solo show, he acknowledges that he is extremely excited about the location, and the cause. “Wellington’s is a beautiful place with so many great features, perfect for an open air exhibit.” He adds that the cause that will benefit from his exhibit, Schoharie Valley Farm to School Project, is a positive program that he would like to help get much better recognition. Jason Schultz is an award-winning landscape designer and self-taught artist living in Albany, N.Y. Jason currently works at Faddegon's Nursery doing residential design, retail sales, garden consultations and lectures. He states that he views life from a perspective that allows his innate sense of creativity to influence all aspects of his work and play. Working with reclaimed materials, whereas others may see scrap metal or refuse, Jason envisions their potential for engaging art. He welds, grinds, chainsaws and paints to transform discarded materials into fearsome warriors, robust bird baths, impressive sculptures and whimsical pooches. Jason’s works are in demand for the residential backyard, for professional landscaping applications, and by art collectors. His hand carved flutes and figurines will also be on exhibit. For more information about the garden stroll, art opening and exhibit, contact Schoharie Valley Farm to School Project Coordinator, Regina Tillman, via email at rmt371@live.com, or call the office of Cornell Cooperative Extension Schoharie and Otsego Counties at (518) 234-4303 / (518) 296-8310. Owners Carolyn and Frederick Wellington, of Wellington’s Herbs and Spices, may also be reached at 518-295-7366.